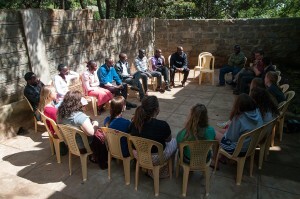 Ten students and two faculty will be headed to Kenya next month (yikes!) to study the history of Christianity in Africa. Here's a quick introduction to the group. Becca Bankert is a senior vocal music education major. She will graduate in December 2013 after she student teaches at Orrville City Schools. When not practicing voice music, Becca loves to be outside (biking and playing soccer are her favorites) and she also enjoys playing guitar and ukulele. Rachel Dawson will be a junior this fall working on a double major in early childhood education and intervention specialist. She has a passion for working with kids and hopes to pursue that calling by working as a teacher in Africa after graduation. Sadie Eicher will be a senior this fall. She is a communication arts major hoping to pursue a public relations career. Working alongside a nonprofit organization would be her ideal job out of college. For a few years, she has had a desire to travel to Africa, so she is excited about the opportunity to experience Kenya. Rachel Fox is a freshman math major with a music minor. She lives just outside of Alliance, Ohio, in Marlboro township. In her spare time she likes to play the piano, scrapbook, and spend time with her family. This will be Rachel's first trip overseas and she's very excited to experience African culture. Alexis Kreiner is a freshman and currently undecided about her major. She is interested in foreign missions and would love to work overseas. This is her first trip out of the country, and she is excited to be going to Kenya. Janelle Linder will be a senior this fall and is majoring in public relations and minoring in missions and cross-cultural ministries. She is the captain of the women's tennis team and sings in the University Chorale. Janelle went to Brazil last summer and continues to realize her heart for missions and learning about other cultures. Amy Miller is a junior integrated language arts major, hoping to teach high school students in an inner city area upon graduation. In her free time (which rarely exists) she enjoys playing music, crocheting, laughter, fellowship with friends, and quality time with family. She anxiously await our departure to Nairobi this summer and looks forward to experiencing the culture, spending time with our group, and seeing what the Lord has in store for us. Patty Rhinehart, a communication arts major, will be taking her first lifelong dream trip to Kenya. She has been on several missions trips and has traveled all over the country, but this will be her first time venturing to Africa. She is beyond excited to experience this new culture and share with fellow Christians in another country. Eve Smalley is a sophomore studying psychology and community health education. This is her first trip out of the country. She has always had a desire to go to Africa. 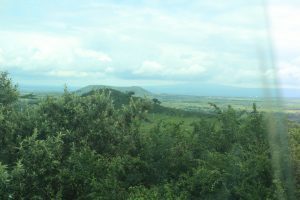 Dr. Jay Case spent several years in Kenya as a missionary at Kijabe, the town where we’ll be based for most of our time. A professor in the History, Philosophy and Social Sciences, he researches and teaches missions and African history. 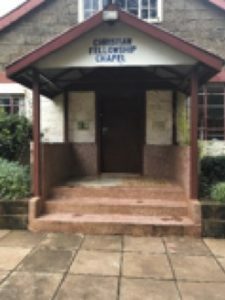 Dr. David Dixon grew up at Kijabe, where his parents were missionaries. A professor in the Communication Arts Department, he teaches journalism classes, advises The Aviso AVW and has a background in African studies. This is his first time taking students to Kenya.